Now you can buy Media Temple Shared Hosting at 33% OFF on the Annual Plan. Monthly Billing – 20% OFF, Annual Billing – 33% OFF. Discount applicable on Shared Personal & Pro Plans. Click on the link below to get our exclusive Media Temple Coupon Code. Now you can buy Media Temple Managed WordPress Hosting at 33% OFF on Annual Billing Plan. Monthly Billing – 20% OFF, Annual Billing – 33% OFF. Discount applicable on WordPress Personal & Pro Plans. Click on the link below to get our exclusive WordPress Media Temple Coupon Code. Media Temple is one of the most popular web hosting companies among the experienced web developers and professional bloggers who understand the importance of scalability and stability in hosting environment. The company has been a pioneer in Cloud, VPS and clustered architecture and offers solutions that are always a step ahead from the competition. At first glance, their hosting packages may seem a bit over priced but as one explores and looks through the finer details, one realizes that they are worth every dime spent. In fact, Media Temple gives you more than your money. If reliability and site performance are important to you, then you should look no further than their Grid hosting service. Media Temple offers following hosting services – Shared hosting, WordPress hosting, VPS hosting, Managed hosting, AWS Cloud hosting. 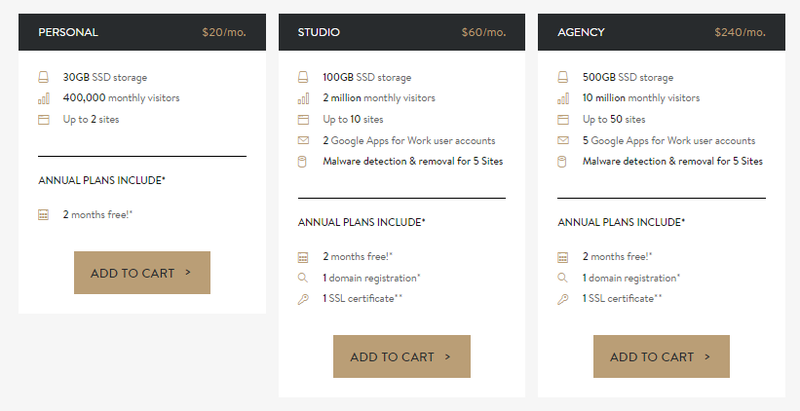 The starting price of Shared and WordPress hosting is $20 per month. But if you choose annual billing, you need to pay $200, which is equal to 2 months of free hosting. We have a special deal from the company to offer 33% OFF to our visitors on annual billing plan. So if you avail this offer you need to pay only $16 per month for monthly billing, or $160 per year for an annual billing contract. This Media Temple discount is applicable on WordPress Personal and Studio plans, Shared Personal and Pro plans and DV Developer and DV Managed levels 1 & 2. Click on the link below to see the Media Temple 33% OFF Discount Coupon Code. Click on the above “33% OFF Media Temple Coupon Code” button. It will display the discount coupon and also open media temple official website (mediatemple.net) in a new page. Now copy the coupon code and go to mediatemple.net website to start the signup process. You will see different hosting solutions on offer – WordPress Hosting, Shared Hosting, VPS Hosting, AWS Cloud Hosting. Click on the type of hosting that you wish to purchase. If you select WordPress Hosting, you will be taken to a page where you can choose your WordPress plan. Three options available are – Personal, Studio and Agency. Personal Plan allows you to host up to 2 sites, while Studio and Agency allow up to 10 and 50 sites respectively. Please note that 33% OFF discount is applicable only on Personal or Studio plan. Once you have decided on the plan you want to buy, click on the “ADD TO CART” button below that plan. 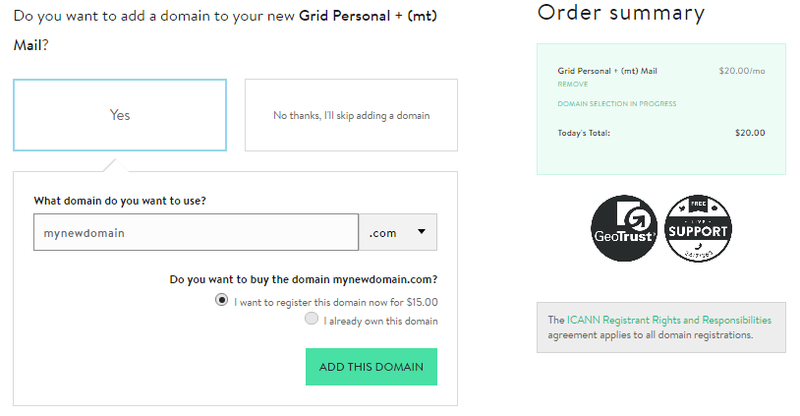 If you select Shared Hosting, you will be taken to a page where you can choose your Grid plan. Three options available are – Personal, Pro and Agency. Personal Plan allows you to host up to 100 websites, while Pro and Agency allow up to 500 and 2500 websites respectively. Please note that 33% OFF discount is applicable only on Personal or Pro plan. Once you have decided on the plan you want to buy, click on the “ADD TO CART” button below that plan. Next you will be taken to Domain Selection page. Enter the domain name that you wish to add to your hosting account. If this is a new domain you want to register, click on the checkbox “I want to register this domain now”. Else if this is an existing domain that you have already registered, check the box against “I already own this domain”. Click on “ADD THIS DOMAIN” to proceed. If you do not wish to add any domain, you can completely skip this step by clicking on “No thanks, I’ll skip adding a domain”. You will see several addon recommendations like, Domain Validated SSL, Google Apps etc. You may add these to your cart, if required. Or just skip these and scroll below to “Any other info you want to give us?”. Enter the copied MT Coupon code in “Special offer code” box and click on “APPLY CODE”. You will notice that the discount is applied and same is reflected in the Order Summary on top right of the page. Click on “CHECKOUT” button. Next you need to enter your Contact Info. If you have an account with Media Temple, just login into your account. Or click on “CREATE ACCOUNT” button. After you’ve entered the required contact information, you will be taken to Confirmation and Payment page. Here you need to confirm the hosting package you selected and make the payment to complete the signup process. What billing cycles does Media Temple offer? There are following 4 billing cycles to choose from – month-to-month, yearly, 2 year and 3 year. When you choose yearly cycle, you get 2 months of hosting free. On 2 year and 3 year terms, you get 5 months and 9 months of free hosting respectively. Yes, Media Temple offers month-to-month billing cycle. What payment methods can I use for purchasing Media Temple hosting? Media Temple accepts payments via Credit/Debit Cards, PayPal and PayPal eCheck. For renewals, two other payment methods are available; these are ACH and Wire Transfer. Does Mediatemple provide free domain name with hosting packages? No, Media Temple hosting plans do not come with a free domain name. At the time of signup, you could either choose to enter a domain name that you already own, or buy a domain name from Media Temple at the price of $15 per year. Can I use an existing domain to register with Media Temple? Yes, at the time of signup with Media Temple, you can enter a domain name that you already own to set up with your new hosting account. You just need to set the domain name servers to Media Temple for it to work. Does Media Temple offer Windows hosting? No, Media Temple only offers Linux based web hosting packages. For every new domain name registered, you will need to pay $15 per year. Media Temple follows a consistent price structure, so it does not increase the hosting price at the time of renewal. But it does offer certain months of free hosting at the time of purchase for yearly, 2 year and 3 year terms. This significantly reduces the initial invoice price. Does Media Temple offer managed VPS hosting? Yes, Media Temple offers high performance VPS hosting. There are 3 types of plans available – Self Managed VPS, which is a command line VPS hosting with full root access; Managed VPS, which is a control panel VPS hosting with choice of cPanel, Plesk Onyx and WHM; Fully Managed VPS which is completely managed by Media Temple professionals. Does Media Temple provide any money-back guarantee? Media Temple has a standard 30 day money back guarantee on all hosting services, with the exception of dedicated server hosting which has a smaller refund window of 7 days. When you cancel your account, the prorated refund is calculated for the remaining time period after reducing the number of free service months (in case of annual, 2 year and 3 year plans). Does Media Temple have a website migration service? Yes, Media Temple offers a migration service where their certified CloudTech engineers move your existing website from another web host to Media Temple. But this service is not available free of charge and you will need to pay $150 for every website that you wish to move. Can I host multiple websites on one hosting account? Yes, the starting shared hosting plan “Personal” allows you to host up to 100 websites on one hosting account. The higher plans allow up to 500 websites. Does Media Temple provide cPanel with shared hosting plans? No, Media Temple provides its own custom Grid Control Panel. It is a very clean, easy and responsive interface with clearly marked subsections for administrative and maintenance tasks. What customer support options does Media Temple provide? Media Temple offers 27/4 phone support. They have a toll free number, US phone number and several international numbers for non-US customers. You could also contact them via email, live chat, ticketing system or on twitter.